The international reach of the blues continues to amaze along with the way the blues sound is absorbed in many foreign lands while creating new blues that doesn’t imitate, but retains authenticity. The Greek band Blues Cargo has been spreading the blues now for close to thirty years and if this their current recording is any indication, blues is alive and well. The core band consists of guitar, bass, keyboards, sax and drums along with help from two harmonica players. Their brand of blues is tinted with R&B and jazz colorings. This very talented ensemble knows their way around the blues and delivers a totally enjoyable blues experience. The band leads off with a worthy version of Freddie King’s template for blues instrumentals “Hideaway”. It’s one of the four cover tunes included here. They add Nikos Skiadopoulos on harmonica and sax and piano are also present. Guitar wizard Stelios Zafeiriou handles the guitar ably that would surely make mister King give his approval. “The Wheel” speaks of the hard working man’s lot in life to the back drop of Chicago style blues guitar, piano and sax. Bass player Dimitris Ioannou supplies the on point vocals here and elsewhere on the CD. He bemoans the lack of time on jumping “Time” that includes nice organ soloing by George Lagogiannis along with the requisite guitar goodness. Harp players Nikos Skiadopoulos and Iakovos Krokos both play on “Cloud No 11”, joined by Stelios on slide guitar. Much in the fashion of today’s world the narrator berates politicians on “Stop Messin’ Arround (With My Bread). Yes sports fans…that’s how they spelled around, not one of my famous typos. “Corruption” follows suit with much the same sentiments. Blind Lemon Jefferson’s “Broke N Hungry” gets an upbeat big city Chicago sound with acoustic piano, sax and a super funky bass part. The guys tone things down on the slow blues of “Don’t Knock On My Door”, that is true to classic slow blues as each note simmers. The virtues of true love are exalted on what else, “True Lady”. Robert Cray style blues rub elbows with a slight George Benson ersatz jazz vibe on “The Cheating Song”, another slow burner. Two cover songs bring the proceedings to a close. Jimmy Dawkins’ “If You Gonna Love Somebody” and Chris Cain’s “Wake Up And Smell The Coffee” send the listener off in grand Chicago blues style. Although it’s understood that blues music is low on the totem pole of popularity, it’s fan base and musicians are strong in keeping quality blues alive and thriving. 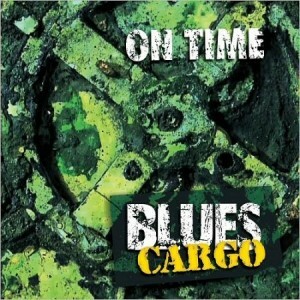 Bands like Blues Cargo are proud torch bearers with talent to spare. After listening to this totally enjoyable record it’s plain to see that the blues aren’t going anywhere.